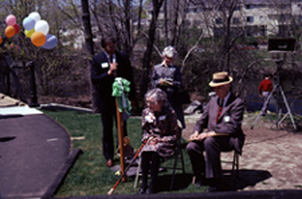 Our History - Wellesley Conservation Council, Inc. Try to imagine the Town of Wellesley without its parklands, Guernsey Sanctuary, Carisbrooke Reservation, Centennial Park or Boulder Brook Reservation. 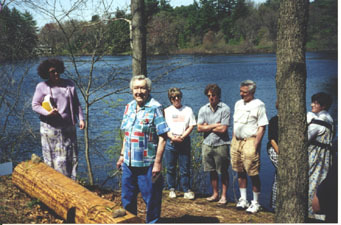 A handful of individuals facilitated the preservation of these open spaces when, in 1958, they formed the Wellesley Conservation Council and helped Wellesley become the conservation-minded community that it is today. By the 1950's Wellesley's population had doubled since the pre-war years and development of previously open spaces was accelerating. The League of Women Voters water resources study in 1957 created an awareness of the need for some sort of organized action for conservation. We learned the meaning of such words as "watershed," "aquifer" and "wetlands" and became aware of the threats to these resources. The realization of a changing Wellesley prompted the desire to organize in support of the environment. The words "conservation" and "ecology" were not yet part of our common vocabulary when a group of townspeople became concerned about several occurrences around town. The Town was straightening Fuller Brook to prevent flooding along its course, siting the town incinerator on a wetland, and considering a proposal for a parking lot to take the place of Hunnewell Park near the Town Hall. An alarmed group of citizens took action. In April of 1958 they they met with Allen Morgan, Executive Vice-President of the Massachusetts Audubon Society, to learn how the Sudbury Valley Trustees had organized as a private tax-exempt land trust a few years before. A land trust sounded like a good idea for Wellesley too. Out of that meeting came the incorporation of the Wellesley Conservation Council on June 19, 1958. The founders modeled the organization after the five-year-old Sudbury Valley Trustees and the Weston Forest and Trail Association, which had been successful in promoting conservation. Later, surrounding towns would use the by-laws of the Wellesley Conservation Council as a guide in founding their own land trusts. The stated purpose of the organization was "to protect and preserve natural areas in Wellesley, to educate the public about the need for conservation, to encourage appreciation of natural history and to acquire and hold land for the benefit of the public." Charter members were: Mary E. Crockett, Willard Dalrymple, Mary H. Fyffe, Lydia and Shippen Goodhue, Margaret C. and Richard Hodges, Dorothy and Carroll Hunnewell, Edward Proctor, Ethel and Franklin Sanders, Irma Thompson and Harriet Wilcutt. 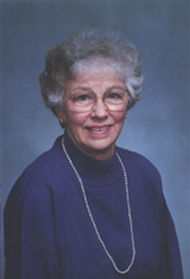 Elected officers were: President, Ethel Sanders; Treasurer. Dorothy Hunnewell; Clerk, Edward Proctor, Jr. and Eleanor Blair served as Secretary. Mimeographed membership forms were prepared and distributed. Eleanor Blair recruited many members by distributing forms on commuter trains. Eleanor lived on Cottage Street, which is near the Fuller Brook flood control project, and she persuaded nearly every resident of that street to join the Council. By December there were 130 members. Many were older residents who remembered Wellesley as a small community; others were younger residents who had moved to Wellesley hoping to avoid congestion but finding instead that the town was growing rapidly. For the first few years we "conservationists" were regarded as part of the lunatic fringe, at worst, or as "little old ladies in tennis shoes" at best. Then one phone call told us we were recognized. The caller said the Town Clerk had told her to call us to inquire about conservation in Wellesley. This was a milestone for us. As recognition grew, our credibility was established and our expertise was sought. While the private Wellesley Conservation Council was growing, public stewardship of town land was lacking. The Council was convinced that both a public board and a private board were needed to promote conservation in Wellesley. Council members therefore placed an article in the warrant for the 1961 Town Meeting to establish a Town Conservation Commission, an official agency permitted by state enabling legislation. The motion carried. However, the article contained no provision for appointment of members to the Commission. No one in authority had warned the fledgling Council that such wording must be included in the motion or the clause "or take any other action with respect thereto" be added. The commission had to wait for action at a special Town Meeting in December of that year. The Town Conservation Commission began to function early in 1962 with Franklin Sanders as its first chairman. People confused the Council and the Commission, so the Council often printed an explanation of the differences in the Wellesley Townsman. 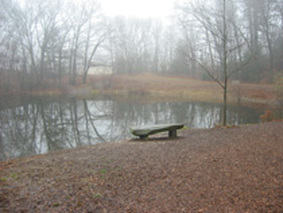 The Wellesley Conservation Council is a private land trust, donations of money and land are tax-deductible, all its properties are open to the public, and it derives funds from dues and contributions. A conservation commission is part of the town government, donations of money and land are tax-deductible, and its properties are open to the public, but its funds are a part of the town budget, and its purchases of land (or acceptances of gifts of land) must be approved by vote of Town Meeting. When the Conservation Commission became the Natural Resources Commission in 1978, the name confusion ceased. The Natural Resources Commission is unique to Wellesley, consolidating natural resources responsibilities beyond those of conservation commissions in other communities.